Great for all sorts of historical reenactments, the Copper Mug with Tin Lining is great to have on hand for easy drinking without breaking out of character or setting. This round mug has a curved handle and a very slight lip. The outside is copper, and the inside is lined with food safe tin. Whether used for Western, Civil War, Victorian, or even late Renaissance settings, this versatile historical drinking cup can suit them all. 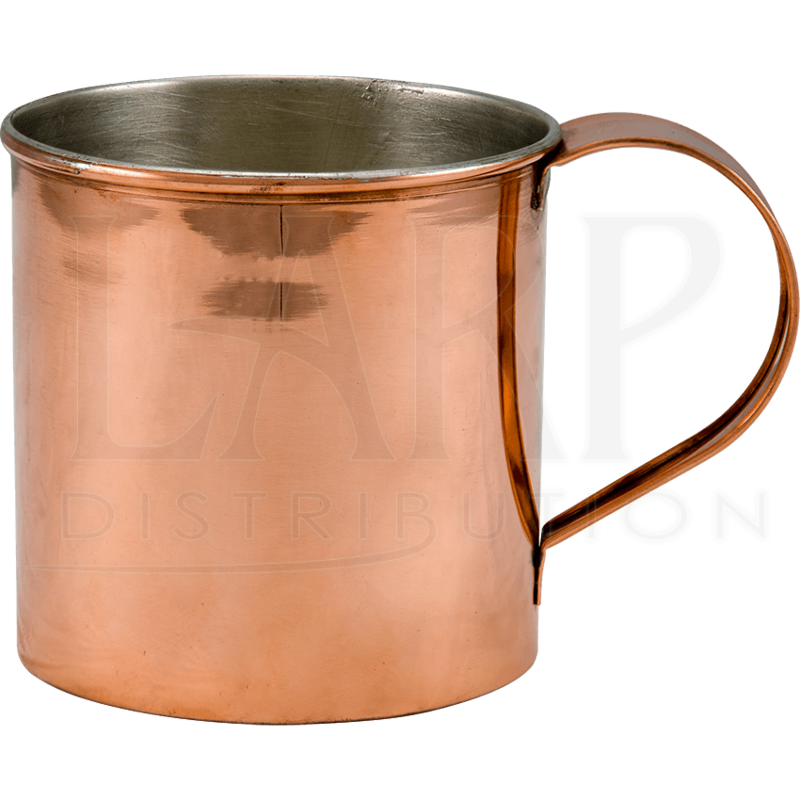 Always useful and very versatile, add this copper and tin drinking cup to your feasting kits. Hand wash with dish soap using a gentle sponge or cloth. To prevent a patina from forming, use a copper cleaner occasionally.